Vitamins and Minerals are a group of naturally occurring nutrients found in food and supplements that are required for good health, growth, recovery, performance and metabolic functioning. They are often called ‘micronutrients’ because your body needs only in tiny amounts to work properly. 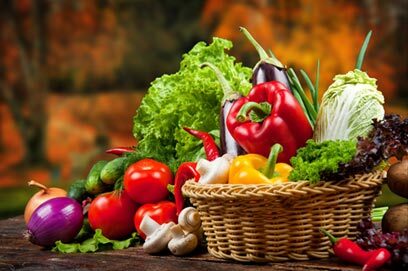 The amount of vitamins and minerals present in a food depends on many factors such as the growing conditions, environmental factors, chemical preservatives, food processing, storage and cooking methods involved. Various vitamins have been identified to play key roles in the metabolism of the healthy body. Vitamins are required in very small amounts and can be obtained from a variety of food sources. Vitamin A – food sources are liver, egg yolk, whole milk. Vitamin D – food sources are egg yolk, beef liver, some mushrooms, fatty fish such as salmon and tuna. Vitamin E – food sources are seeds, nuts, vegetable oils, fortified breakfast cereals. Vitamin K – food sources are Brussels sprouts, broccoli, spinach, other green leafy vegetables, black-eyed peas, soya beans. Vitamin B1 (Thiamin) – food sources are fortified breakfast cereals, enriched grains like rice & pasta, pork, beans, peas. Vitamin B2 (Riboflavin) – food sources are dairy products, fortified cereals, enriched grains, mushrooms, liver. Vitamin B6 (Pyridoxine) – food sources are fortified breakfast cereals, bananas, chickpeas, potato, sunflower seed, beef, poultry. Vitamin B12 (Cobalamin) – food sources are fish, beef, poultry, dairy products. Niacin (Nicotinic Acid) – food sources are meat, poultry, fish, fortified breakfast cereals, enriched grains. Folate (Folic Acid) – food sources are fortified cereals, enriched grains, legumes, green leafy vegetables, orange juice, wheat germ, liver. 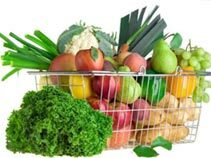 Vitamin C (Ascorbic Acid) – food sources are fruits and vegetables such as bell pepper, citrus fruits, strawberries, pineapple, kiwifruit, potatoes, tomatoes, broccoli, leafy vegetables. They are required in our diet in small amounts and are necessary for building strong bones and teeth, turning the food you eat into energy, regulating heartbeat, transporting oxygen from lungs to the tissues and controlling the body fluids inside and outside the cells. Calcium – food sources are dairy products, chinese cabbage, kale, spinach, sardines, orange juice, tofu. Magnesium – food sources are leafy greens, potatoes, whole grains, nuts, seeds, legumes. Sulfur – food sources are protein rich foods (sulfur is a component of amino acids). Potassium – food sources are dairy, halibut, clams, fruits, vegetables, white and sweet potatoes, beans, leafy greens, tomatoes, oranges. Sodium – occurs naturally in our food, table salt, processed foods. Phosphorus – food sources are all protein foods like meat, eggs, dairy, also highly processed foods like sodas and processed meats. Iron – food sources are beef, liver, clams, oysters, poultry, fish, pork, tofu, legumes, spinach, raisins, fortified breakfast cereals. Chromium – food sources are whole grains, nuts, dark chocolate. Copper – food sources are liver, shellfish, legumes, nuts and seeds. Fluoride – main source is municipal water that adds fluoride to the water. Iodine – food sources are saltwater fish, liver, legumes, potatoes, iodized salt, dairy-products. Manganese – food sources are nuts, whole grains, legumes, some fruits and vegetables. Molybdenum – food sources are peas, legumes, some breakfast cereals. Selenium – Food sources are brazil nuts, organ meats, seafood, other meats, whole grains. Fiber is the indigestible portion of foods that only plants contain. It is never found in animal foods. It basically refers to carbohydrates that cannot be digested or absorbed. Its general purpose is to move through your digestive system, pick up general waste, absorbing water, leading to bowel movement thereby keeping the digestive system healthy. Insoluble fiber: This does not dissolve in water but absorbs it, causing an increase in fiber bulk known as roughage. This is usually the outer layer of your food like peels, skins, dark green leafy vegetables, nuts and seeds. Bulking agents help to clear the gastrointestinal track of all the waste. By regularly consuming these fibers, the amount of time digested food sits in the intestine is decreased. Eating food that is high in fiber helps in reducing body fat. It does not metabolize fat quicker or more efficiently but it helps you by decreasing the intake of calories. Since fiber makes you feel full for longer, and is less energy dense you end up eating fewer calories without feeling hungry. Fiber also contributes to other processes such as stabilizing glucose and cholesterol levels thereby preventing diabetes and heart disease. Fiber prevents colon cancer. Fermented fiber provides nutrition for friendly bacteria in the gut helping in digestion. 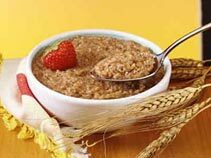 Excess Fiber Intake Risk: While fiber has a number of benefits, too much can backfire. If you consume excess fiber you may experience cramping, bloating, gas and abdominal discomfort as your body attempts to work through the bulk. And if you are not drinking enough water to help move the bulk, constipation can occur leading to intestinal blockage. When intestines become blocked, food and waste can no longer move through leading to hindrance in absorption of nutrients and a dangerous accumulation of toxins in the body. Fiber is an important part of a healthy diet. Therefore, maintain an adequate daily intake and do not go overboard with fiber. The Bottom Line: For overall health, each nutrient is as important as the next. They each have a unique role and a deficiency in any will impact your wellbeing. Eating a diet with a variety of food groups is your best protection against nutrient imbalance.